You are here: Home / Parking / Parking QLD / QLD: Q&A Can A Lot Owner Use the Disabled Parking As An Extra Car Space? We have recently received a few questions from Queensland strata lot owners concerning strata parking allocation. Thank you to Kelly Borell, Tower Body Corporate Administration for providing the following responses. Answer: I believe it is the local Council that sets the strata parking allocation. They are responsible for requirements relating to the number of visitor parks a complex has, and this would be done when the development approvals were being processed. Question: Can an owner with a disability sticker use the disabled car space for permanent parking? Can an owner with a disability sticker use the disabled car space for permanent parking, as a way of obtaining a second car space? The unit has one car space but the owners have two cars. Answer: Residents are unable to park in visitor car spaces. If the disabled car space that they are referring to is a visitor car space, then no, residents are unable to park there. Having a certain number of visitor spots for a scheme is a requirement of the local council, and they are for the sole use of visitors to the complex. Residents using the visitor spaces themselves would not be abiding by the strata parking allocation and would be in breach of the body corporate bylaws. 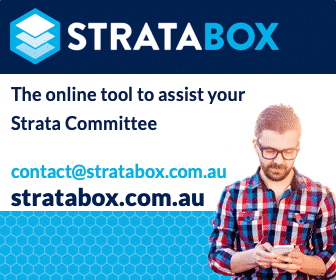 After a free PDF of this article on strata living QLD? Log into your existing LookUpStrata Account to download the printable file. Not a member? Simple – join for free on our Registration page. My understanding is the disability sticker only gives you rights on public roads and not in private complexes. Private car parks can set their own terms and conditions. Kelly…hi, and thank you for this advice. 1. These carparks are for VISITORS NOT RESIDENTS, even when the Residents have Disability Stickers, whether for long-term or short-term parking. 2.They are for VISITORS NOT PASSERSBY, even when the Passerby has a Disability Sticker. The reason why I raise this is that I’ve had it explained to me in quite emphatic terms, by someone with a Disability Sticker but with no connection with our complex, that they were quite entitled to use our complexe’s Visitor’s Disability Carpark whenever they wished to go shopping over the road, and for as long as they wished to park there.